GREAT FOR THE RECRUITING "DO-IT-YOURSELFERS"! 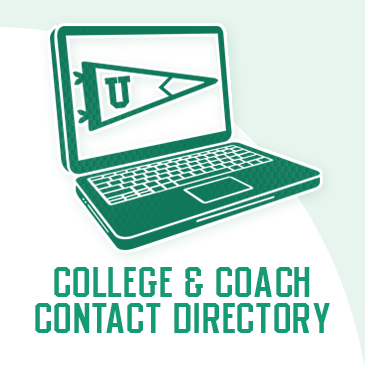 Enjoy UNLIMITED ACCESS to our College Coach Directory for a one-time payment of ONLY $99.95! * ALL recruiting resumes are secured. Only VERIFIED college coaches can see the Academics & Personal Contact sections. All basic information remaining can be viewed publicly.